Having kids is a blessing and a curse, but only because they can make you late for your haircut. 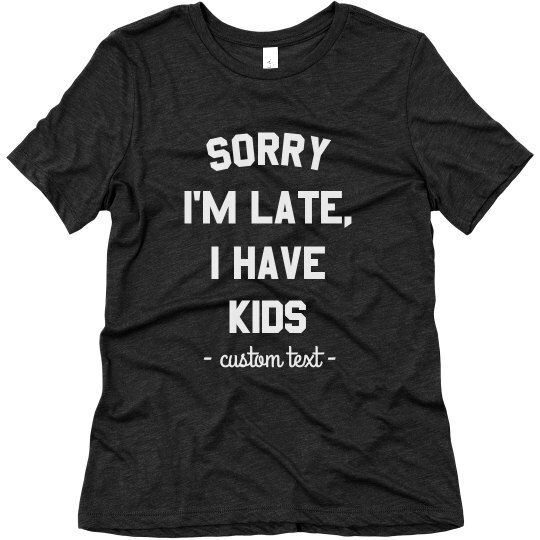 Apologize in advance with this customizable funny mom t-shirt. Because being a mother can be tricky when everyone is on another schedule.